Are Tattoos What God Wants Us To Do? Everyone has their opinions about tattoos. If you have a tattoo and like it, then enjoy it. If you have a tattoo and do not like it anymore, it can be removed. 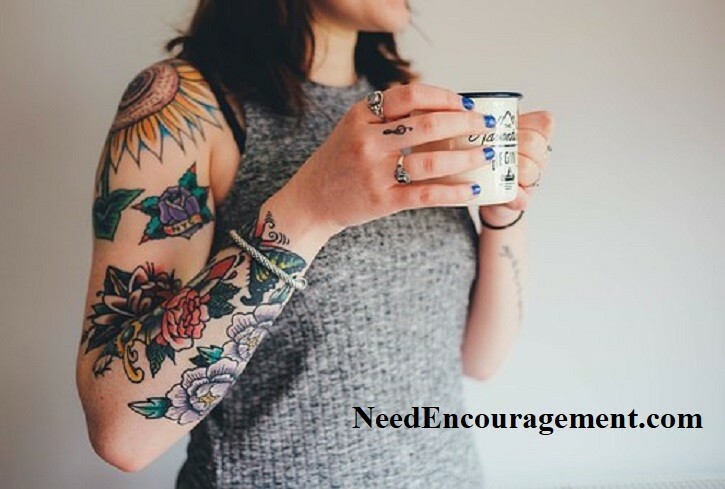 Here are some encouraging scriptures about tattoos. My Tattoo Advice To You! Everyone Has An Opinion About Tattoos! There is a debate about the value of having tattoos. Some people like them and other people do not. I hesitated when I first thought of adding the topic of tattoos on this website. My reason for that being it is such a polarizing issue. Having tattoos does not mean you are not a Christian or not a good person. Not having tattoos does not mean you are not a Christian or a good person. It is in a persons heart that makes them a Christian or not, Jesus Christ living in us through the Holy Spirit. The purpose of this website is to encourage and inform you of things that will help you. I will share some thoughts for you to decide for yourself. (I believe tattoos are a questionable choice overall). This is primarily for young people who get them without thinking or under the influence of drugs or alcohol, yet I am not the one to judge. God gives us the freedom to do what we want. It boils down to what our motives are. My Opinion About Tattoos Since I Had Some! On the one hand, God has given us free will to do what want to do, but as Christians, we ought to want to do God’s will. Our bodies are not our own in that case, because we bought by Jesus Christ’s death on the cross. When I was about 17 years old, I put on some homemade tattoos on my body with Indian ink and a needle and thread, thinking that I would be a beer drinking, pot smoking party animal until the day I died. God had another plan for my life which did not include drugs or alcohol since June 25, 1986. Joyce Meyers Talks About The Topic Of Tattoos! As I said, God gives us free will to do what we want, but at the same time, we can not choose our consequences to the freedoms we have. When I got my tattoos, for me, it was a rebellious banner that I wanted to wear. I had many tattoos on both arms, my one hand, both of my big toes, my chest, my leg. When I was working for a ministry called Faith Indeed building wheelchair ramps, my boss gently asked me if I liked my tattoos, I told him that they were very bold looking and gaudy even though they had words like Jesus, God, Love plus a couple of roses, and a heart plus a few other things. My boss offered to pay to have the tattoos removed, and I almost could not believe my ears. I ended up having 13 individual laser operations, each operation they burned off some of each of the approximately 20 tattoos (each tattoo had a hidden tattoo underneath the professional one). The pain to have them removed was far more significant (about twice as painful as getting a tattoo) than the pain to have them put on in the first place. I was given codeine and valium for pain before each of the operations, also a topical cream to help numb the pain. After each surgery, my arms and legs, and chest and feet all became like one blister almost. I hated the tattoos, and I remember that when I sometimes took showers, I used to dry off my body, and I have cried a number of times because I knew they were permanent and I could never get rid of them (Until my boss offered to have them removed at no cost to me). Do You Believe Tattoos Are Sinful? My advice to you if you are considering getting a tattoo, that you buy a tee shirt instead of what you considered putting on your body. I can not prove it, but common sense tells me that well over 50% (very conservative number) of the people who get tattoos when they get a little older no longer like them like they used to, or wish they never had them! I am not saying that all tattoos are wrong, but there are some references in the Bible that say our body is a temple of God, and that our body is not our own. It has been bought with a price that Jesus paid for.